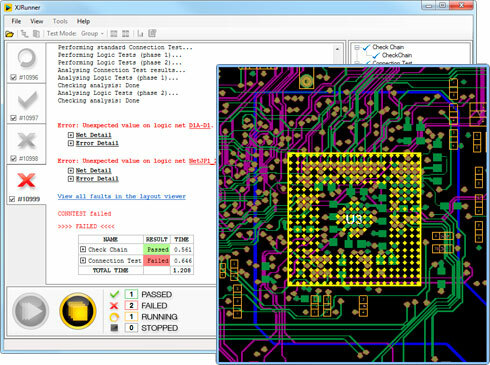 XJQuad is a 4-port version of the XJLink2 USB-to-JTAG controller targeted at PCB manufacturers. It is supplied with XJRunner software for running XJDeveloper test systems. With a range of special features it is particularly suitable for concurrent/parallel testing on the production line. Each of the four ports has a high-speed interface which can be connected to up to four JTAG chains on each Unit Under Test (UUT).